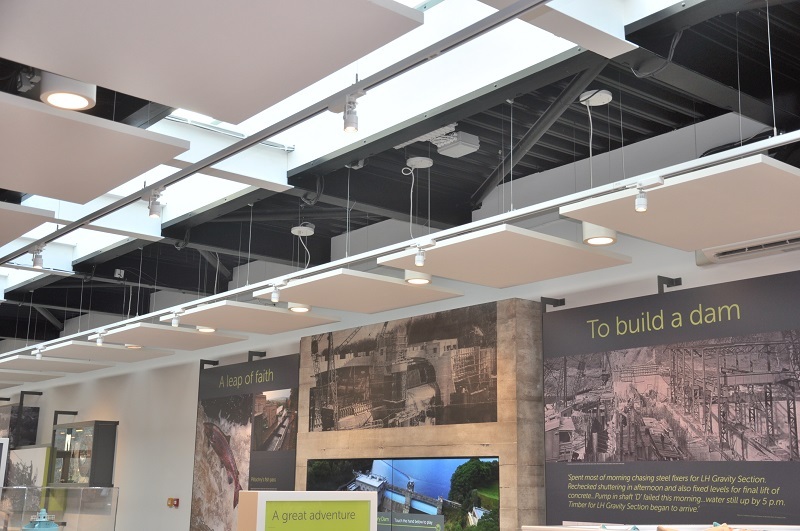 Brian Hendry Interiors Ltd is pleased to have been involved in the comprehensive fit out of the Pitlochry Dam Visitor Centre, working with main contractor CCG (Scotland) to produce an aesthetically pleasing tourist and educational attraction. 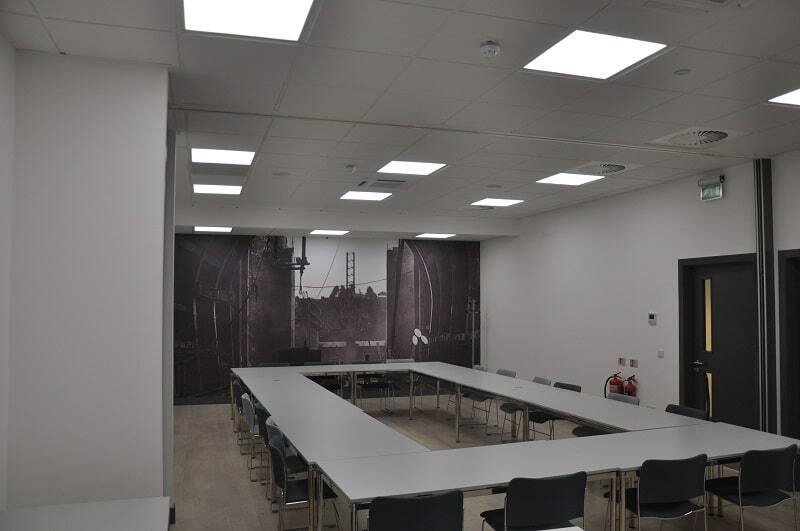 Constructed over two floors, the ground floor is comprised of a reception area, retail space and a 60 seat café, with the lower level containing a multipurpose audio visual area, complete with learning rooms for educational visits and/or business meetings. 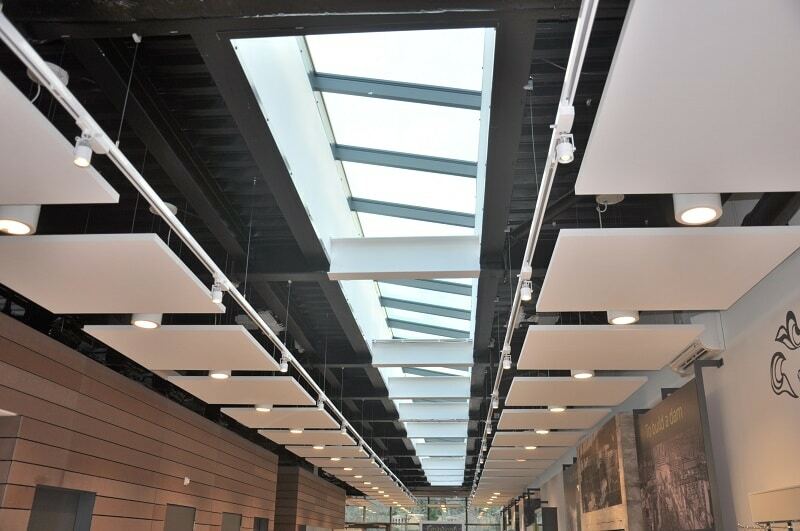 It is a building that truly reflects its stunning surroundings overlooking the Dam and the River Tummel. 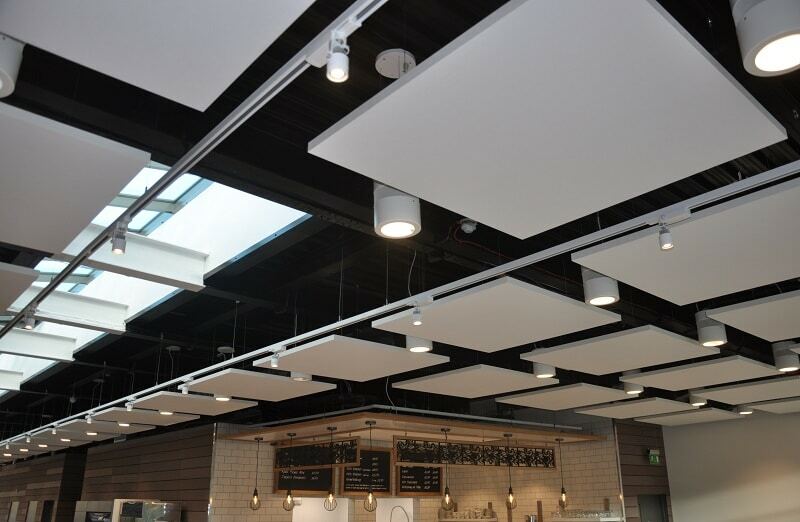 An integral aspect of this fit-out was the installation of fifty-two Ecophon Solo 1200 x 1200 suspended rafts in the café and retail space. 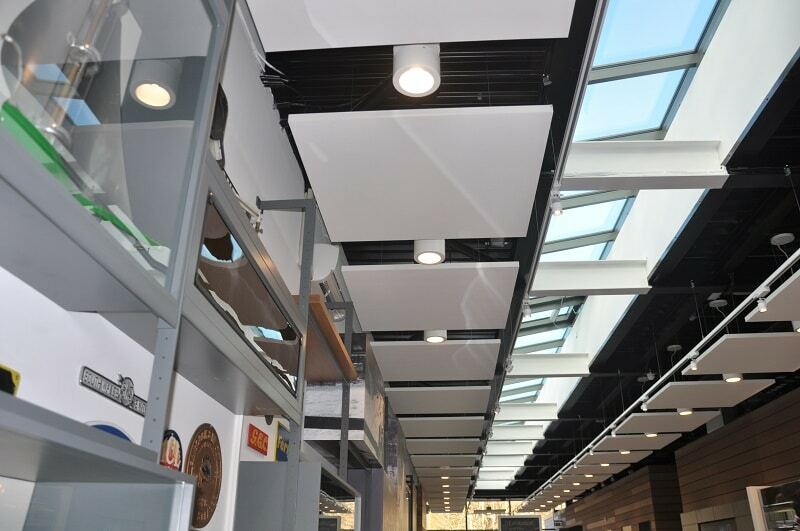 These feature rafts reflected the contemporary style of the building and enhanced the acoustics in this open space. 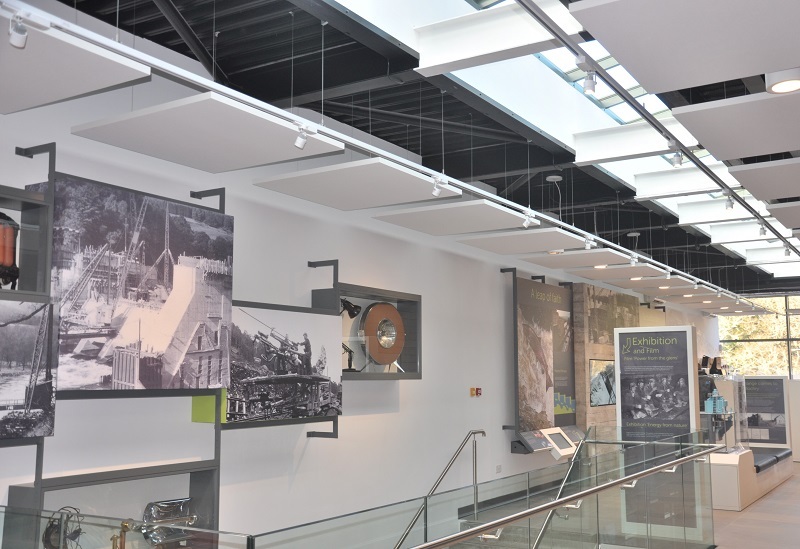 With the new visitor centre situated beside the ‘A’ Listed Pitlochry Dam and Hydro-Electric Power Station—constructed in 1951—this is a site that respects the past and embraces the modernity of present-day.